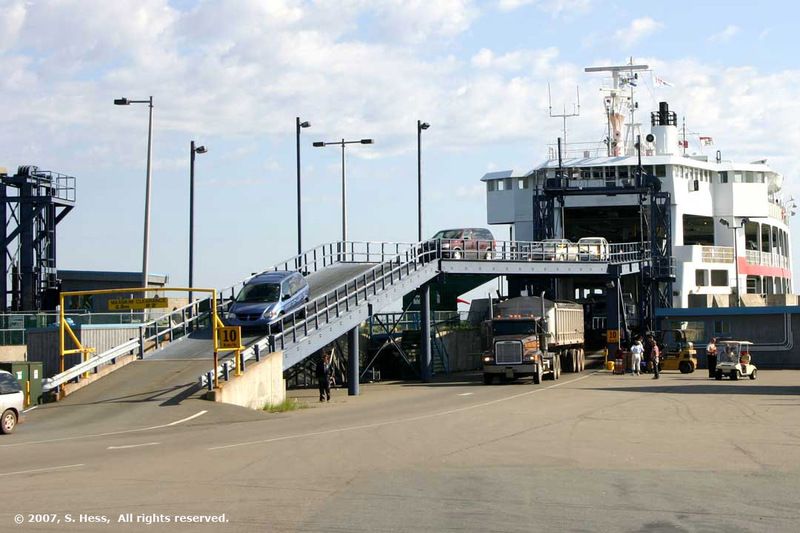 We left the campground in Pictou, NS, to catch the ferry to Prince Edward Island. 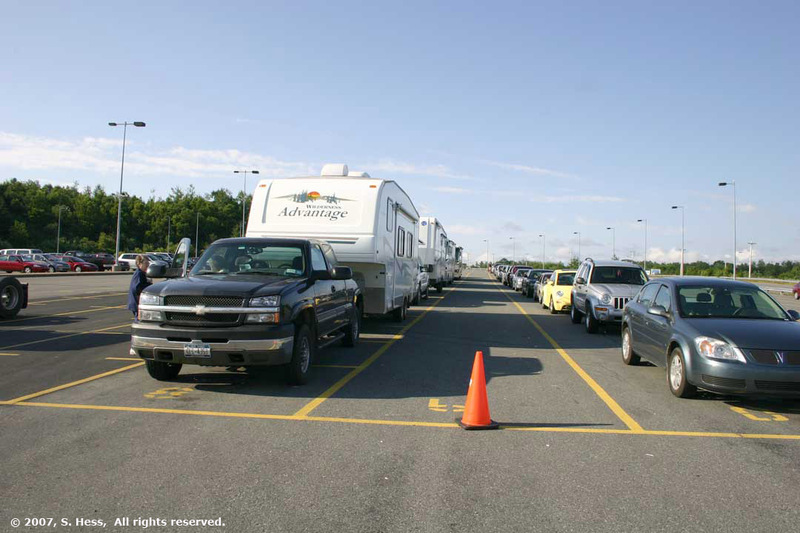 The ferry does not accept reservations for large recreational vehicles so boarding is on a first come  first served basis. The campground manager told us not to take the first ferry run in the morning because trucks line up during the night and have priority. 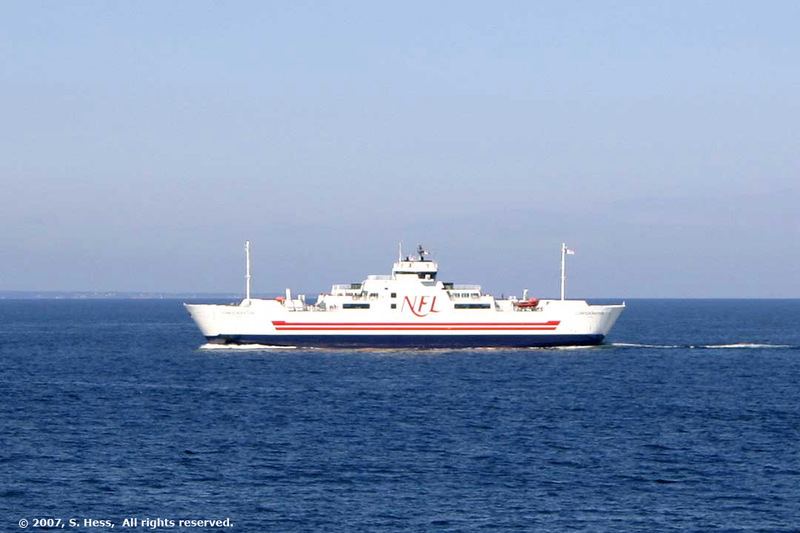 We arrived at the ferry terminal at 8am, in time to see that first ferry depart. We were first on line and had a good chance of getting on the 9:30 boat. When the ferry arrived and the ferry staff started directing vehicles on board, we had a little scare as they let the cars in to the upper level and a lot of trucks on the lower level. Finally, our turn came and we got on board. 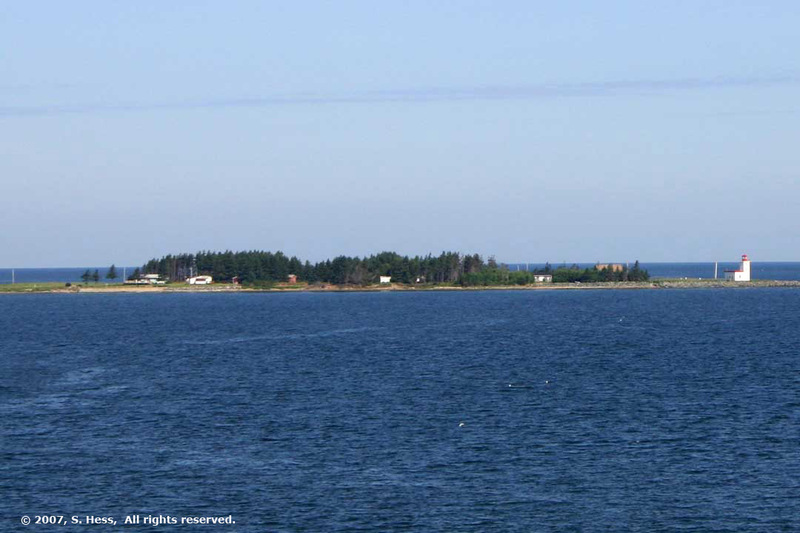 The ferry ride between Caribou, NS and Wood Island, PE took about an hour and twenty minutes. The weather was perfect for a crossing, with sunny skies and no winds. The water was as flat as a pond. 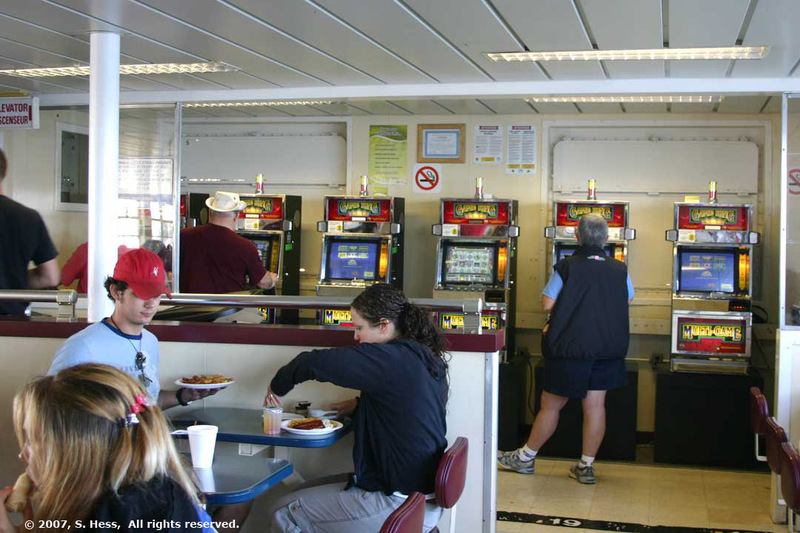 When we docked at Wood Island, we were the third vehicle off the lower level of the ferry. A stop at the Prince Edward Island Visitor Center to turn on the propane tanks that had to be shut prior to boarding and we were on the way. The run to the Cavendish, PE campground was relatively easy. 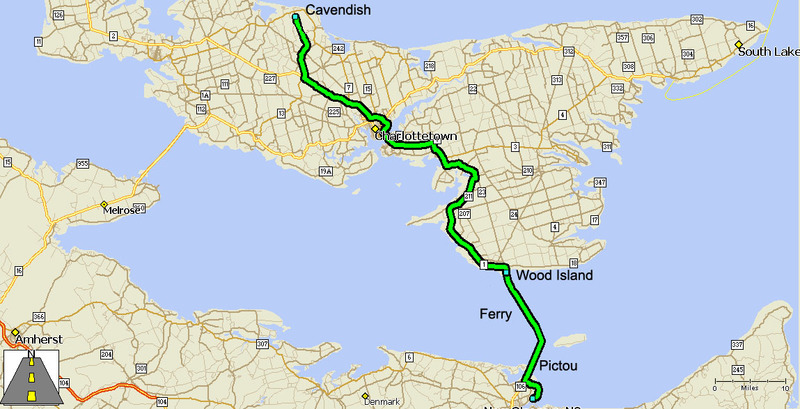 The route bypassed the downtown area of Charlottetown and an hour and half after leaving the ferry terminal we were in Cavendish. That is when the “fun” began. We were assigned a nice level site, a wonderful break since the last few sites were hardly level. We disconnected the trailer from the truck and hooked up out utilities and only had to get the slide out room into position before we could have lunch. I opened the trailer door to get to the switch that operates the slide out room when I discovered a small catastrophe…most of our dishes were on the floor in tiny pieces. We had a service for 8 and now we have ten dishes left, six of them bowls that we don’t often use. The TV was on the edge of coming out of its cabinet as well. What we don’t understand is where and why this happened. There was one segment of road, about twelve miles from the campground, that was under construction and required travel on the gravel road bed. This stretch was relatively smooth and certainly no worse than the roads we encountered on our Alaska trip in 2005 and better than some of the paved roads we traveled in the past few weeks. We know that these kinds of things happen so we don’t travel with our finest dishes. We have enough dishes to get by for the remainder of the trip and will replace the set when we get back home. Prince Edward Island and Cavendish in particular, is known as the home of Anne of Green Gables, a series of books, by Lucy Maud Montgomery. The first of the series was published in 1908 and the books are still wildly popular worldwide. In fact, they are required reading in Japan. Anne of Green Gables is an industry on to itself on the Island. In Cavendish, there is the Green Gables house, a National Historic Site, a recreation of the fictional Avonlea (right next to our campground), and other venues either carrying Anne souvenirs or using names that come out of the book. In Charlottetown, there is an Anne of Green Gables store, Anne of Green Gables Chocolate shopand Anne of Green Gables  The Musical. 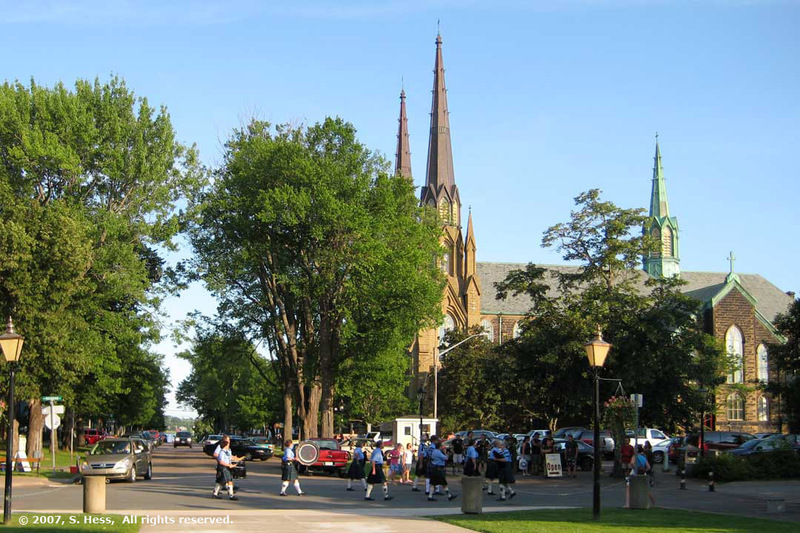 In the afternoon we drove into Charlottetown to see Anne of Green Gables  The musical. The show is Canada’s longest running musical. It was presented at the Confederation Centre of the Arts, a complex containing the theater and an art museum. The audience was an interesting mix… family groups, a couple of busloads of senior citizens and a lot of Japanese tourists (at least 25%). The day before we came to the Island, we saw three bus loads of Japanese tourists heading for the Ferry Terminal in Nova Scotia. We didn’t get to see much of Charlottetown. We walked around the area containing the Confederation Centre of the Arts. Most of the buildings looked like they were built in the late 1800s and early 1900s. They were well maintained with the lower levels being used as boutique shops and restaurants. We ate in a pub with a sidewalk eating area that fronted on a pedestrian mall. A jazz band was playing on the opposite sidewalk for our entertainment. After we finished eating, we continued walking for a while. About a block from the restaurant we saw a band of Scottish pipers marching down the street. They turned into the pedestrian mall and we didn’t get to hear the interplay between the pipers and the jazz musicians. The odds are you could not hear the jazz band. "Well, I have an hour to kill... why not hit it big?" 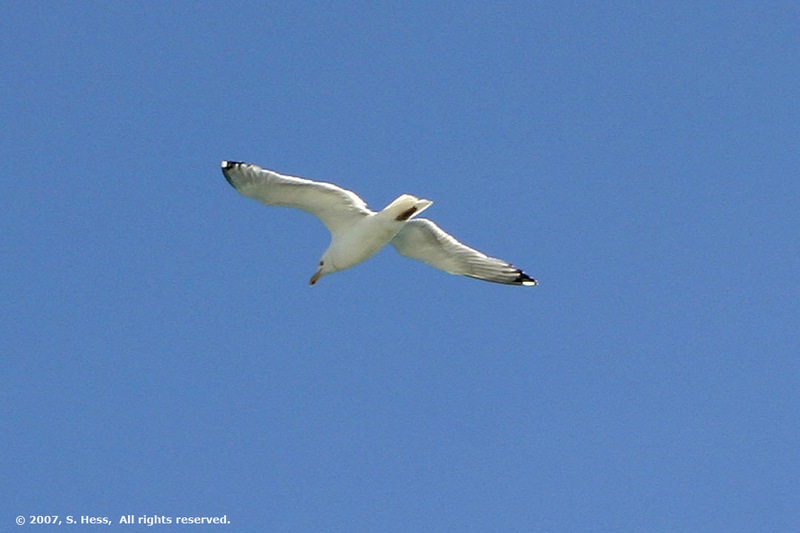 This gull hitched a ride on the air stream coming off the wheel house of the ferry. It seemed to fly without any visible effort for quite a while. 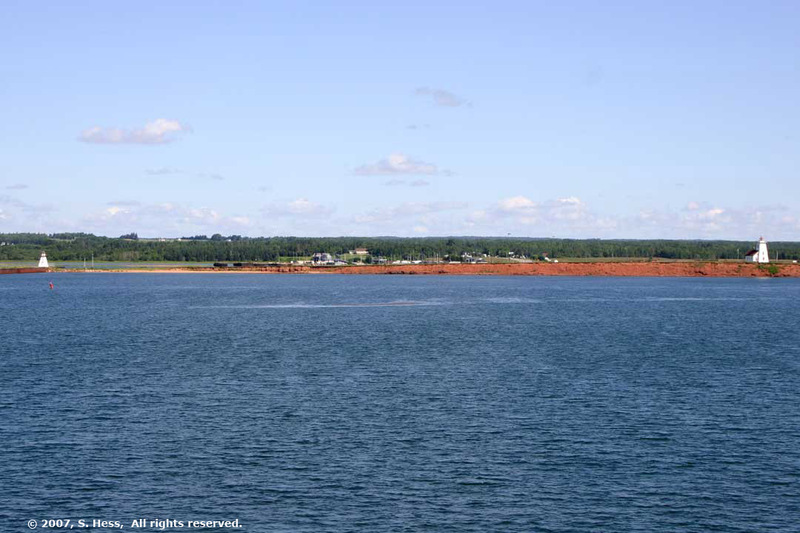 Approaching Wood Island, PEI. I wanted to get closer shots of the approach and lighthouses, but we were told to return to our vehicles.